The Park Commission celebrated its 60th Anniversary in 2016. A brunch, sponsored by the Park Foundation, was held at Ninety Acres in July to celebrate this milestone. Freeholder and Park Foundation Trustee Peter Palmer was the guest of honor. In September, the Park Commission management team planned and funded an employee picnic to show appreciation to all fulltime employees for the outstanding service that they deliver to the public. Open Space inventory is now 14,457 acres +. The EEC continues to offer a variety of environmental programming for the public. Most notable is booking the first classes for the new biomimicry programs, Finding Answers in Nature: Stickiness and Finding Answers in Nature: Architecture. EEC is offering more birding trips and also offered an adult Stand-Up Paddleboarding trip. The Naturalists and Park Rangers partnered to staff the hawk watch during peak migration season. The EEC Facebook page has been expanded; the Naturalists are not only sharing information on upcoming events and programs, but also including educational nature-based video clips or facts. FiOS visited the EEC to record Young Explorers Club. ABC News did a segment on the Festival of Trees. The EEC staff became members of Sustainable Somerset; worked with NJ Division of Fish and Wildlife on bear research; worked with US Fish and Wildlife Great Swamp National Wildlife Refuge to design the Boondocks Boardwalk and then partnered with Somerset County Volunteer Services to build it; and worked with Bernards Protective Association to collaborate for deer management success. Lord Stirling Stable partnered with the Environmental Education Center to work with the NJ Division of Fish and Wildlife to conduct a deer and wildlife population study in the Great Swamp – including Lord Stirling Park. Lord Stirling Stable hosted the 2016 New Jersey Department of Agriculture's Annual Summer Farm tour, along with the United States Department of Agriculture's Animal and Plant Health Inspection Service and Rutgers University Equine Science Center. The tour highlighted best management practices that have been instituted by the Stable from the use of compost to fertilize pastures and other grassed areas, to the eradication of invasive plants, erosion control, watershed protection, and deer population control program. Lord Stirling Stable offered a new grooming program featuring a "parent and me" activity in which the youth "taught" their parents how to groom a horse – using the skills that they acquired during Summer Workshops or the Horse Care Workshops. Also new in 2016, an Adult Summer Workshop was developed. Participants gained horse knowledge and hands-on experience in a variety of topics. The Park Ranger Department offers volunteer opportunities through the Volunteer Park Patrol (VPP). The VPP conducted two trail maintenance projects each month, from March through November, at either Washington Valley Park or Sourland Mountain Preserve. There are also volunteer opportunities at National Trails Day, Sourland Smackdown, and Adopt-A-Boulder events. Several scout groups conduct park cleanups at various parks, and five corporate group conducted trail cleanups. The Park Ranger Department has also begun partnering with the Sourland Conservancy to coordinate volunteer requests from scouts, individuals, schools, and other non-profit groups. The Horticulture Department partnered with Garden State Gardens Consortium to raise awareness of NJ public gardens. The Horticulture Department partnered with the American Rose Society to participate in the Miniature and Mini-flora test program. The Rudolf W. Van der Goot Rose Garden was one of nine official test garden sites. The Jersey Shore Rose Society partnered with Colonial Park staff to offer Rose Pruning Day, providing education to park visitors and beneficial spring pruning in the rose garden. Park Maintenance Department designed and constructed a new trail at Natirar Park. This "in house" work saved the Park Commission funds by not outsourcing to a private contractor. Park staff continues to work with Britton Industries in the free recycling of wood and tree debris from the park system. Park Maintenance staff partnered with the Central Jersey Stream Team in the removal of garbage and tires from the Raritan River. Raritan Valley Community College will be conducting a forest ecology study in several Park Commission parks over the course of a 12-month period (fall to fall). Deputy Director of Leisure Services and Environmental Science Manager met with Mamoudou Berete, a visiting scholar from Guinea in West Africa, who attended Rutgers University for the summer as part of the Mandela Fellowship Program. Environmental concerns regarding mining in Guinea were discussed, along with youth outreach and education, and the potential to partner via Skype learning with the EEC. The Go-Green Committee coordinated an Emerald Ash Borer presentation with a Forester from the New Jersey Department of Agriculture and an Entomologist who specialize in the study of invasive insects. The Go-Green Committee, with support from the Somerset County Park Foundation, held an Arbor Day Native Tree Give-Away event at the EEC and Colonial Park Rose Garden. A total of 209 native trees were distributed for future sustainable habitat, food, and shelter for birds and wildlife. Fifty deciduous trees were planted at Colonial Park, Duke Island Park, and Skillman Park. Colonial Park Garden Rosarian planted 100 new roses in the Rose Garden. Buck Interpretive Gardener designed and planted the new Tufa Rock Garden, including a miniature conifers and alpine plants. The "Milkweed for Monarchs" program was initiated, with a bequest from Ms. Emily Fabiano to the Somerset County Park Foundation. Ms. Fabiano provided funds to the Park Foundation so that milkweed plants, the host plant for Monarch butterflies, would be distributed free of charge, in order to bolster declining Monarch butterfly habitats. More than 2,000 plants were distributed. A serviceability matrix for all park system vehicles was developed so a numerical evaluation (rating) of each vehicle could be constructed. The factors used included frame condition, body condition, mileage, and year purchased. From this evaluation, Vehicle Maintenance will present recommendations for the 2017 Rolling Stock budget as to which vehicles should be replaced. Vehicle Maintenance purchased four new hybrid mowers to add to the fleet this year. The Learning Center at Neshanic Valley installed a High Definition Golf™ simulator. Golfers have 26 championship golf courses to play through revolutionary image processing software that combines high resolution digital images, satellite data, and geophysical data into 3D models of golf courses. The simulator also provides comprehensive and precise shot analysis including ball speed, club speed, launch angle, club face angle, ball spin, and spin axis at high accuracy. Among the highlighted courses available are Pebble Beach®, St, Andrews®, Pinehurst®, Kiawah Island®, Harbourtown®, and Bethpage Black®. Ten bunkers at Spooky Brook Golf Course were renovated. Four bunkers at Quail Brook were reshaped, and the left greenside bunker on #4 was eliminated to save maintenance and improve playability. Two bunkers at Warrenbrook were eliminated. Two bunkers at Green Knoll were reshaped. Two bentgrass fairways at Neshanic Valley were shortened. Natural areas were increased by two acres at Green Knoll. Warrenbrook Golf Course earned a Certificate of Environmental Stewardship from NJDEP. All five Park Commission golf courses have earned River Friendly status from the New Jersey Water Supply Authority, and are recognized as Groundwater Guardians by the Groundwater Foundation. Neshanic Valley Golf Course received two prestigious awards in 2016 from the American Registry for Excellence. They are "America's Top 5% Most Honored Businesses" and a "Must Play Course in the Middle Atlantic Region". Neshanic Valley also received an award from Callaway Golf as one of the top club fitters in the country. 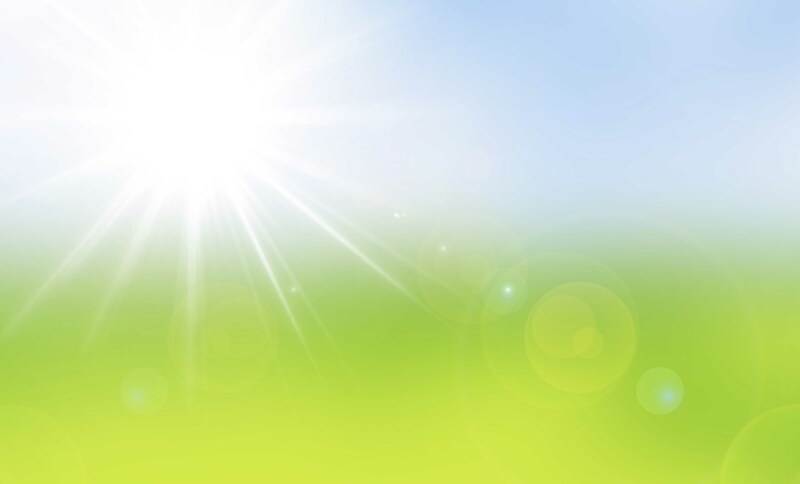 Special Projects Manager and outside contractors continue to research best energy practices in the replacement of water heaters, HVAC, and furnaces in park facilities/buildings. Staff assisted in installing gas/diesel spill kits at Sellars maintenance yard to prevent spills from entering nearby waterways. Stable Manager Marge Margentino received the 2016 Outstanding Women of Somerset County award for work in the area of environmental stewardship and initiatives. Therapeutic Recreation Manager Dina Trunzo received two awards this year. The first was for Administrative Excellence from the New Jersey Recreation and Park Association, and the second was for Distinquished Service and Advocacy from the NJ Commission on Recreation for Individuals with Disabilities. 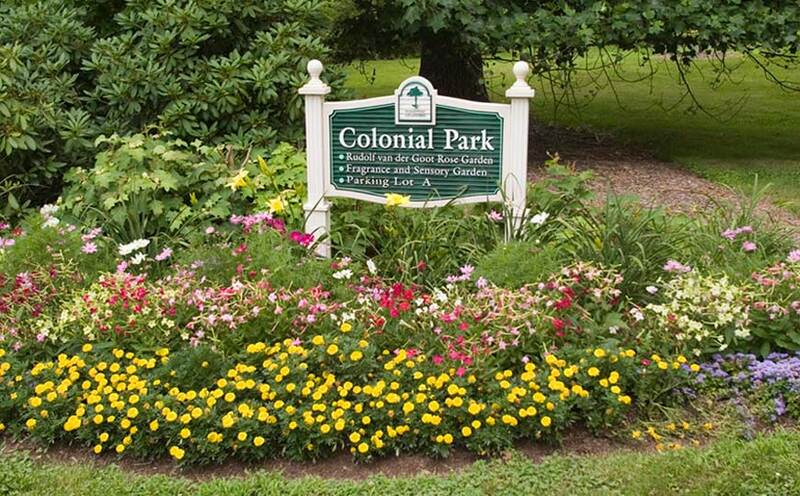 Colonial Park Gardens won the Courier News "Best of the Best" Somerset County Readers' Choice Award for 2016.